chasing my Bees: Central Arkansas STOMP Ticket Giveaway! Central Arkansas STOMP Ticket Giveaway! There are some things you see, or hear about, and immediately go, "Why didn't I think of that?" My kids... all kids... bang pots and pans and sticks and spoons and brooms, they rip newspapers and jump off of things. Why I didn't think to monetize this will be one of life's enduring mysteries. Granted, the folks behind STOMP are at least seventeen times more creative than I am, with a heck of a lot more energy, too. 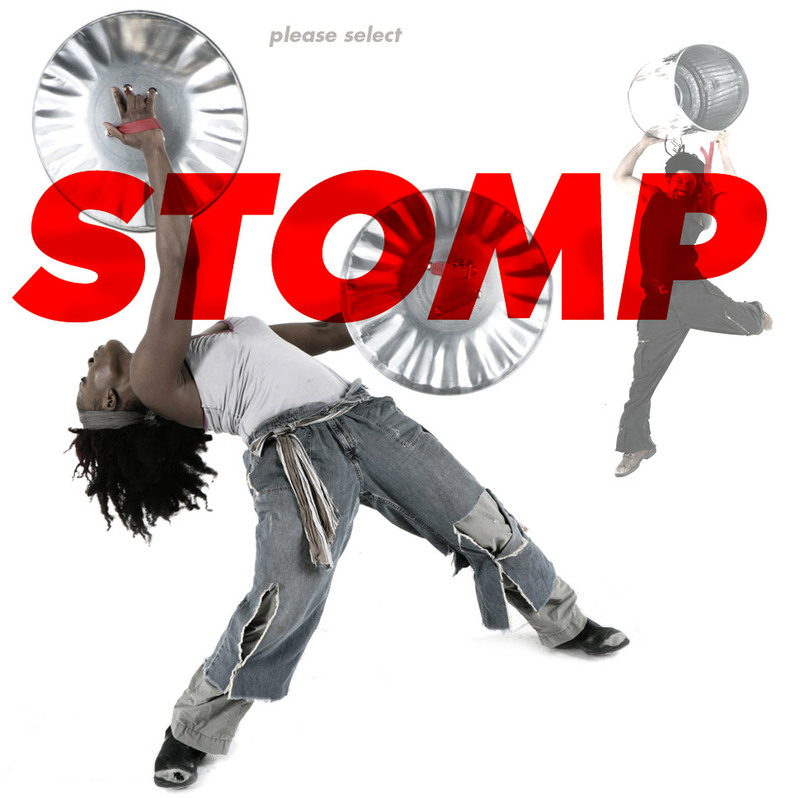 I have wanted to see STOMP since its inception, and now I'm going to. And so can you! STOMP, the international percussion sensation, will make its Conway premiere at the Donald W. Reynolds Performance Hall on Tuesday, March 27 at 7:30pm. Stiff-bristle brooms become a sweeping orchestra; Zippo lighters flip open and closed to create a fiery fugue; wooden poles thump and clack in a rhythmic explosion. 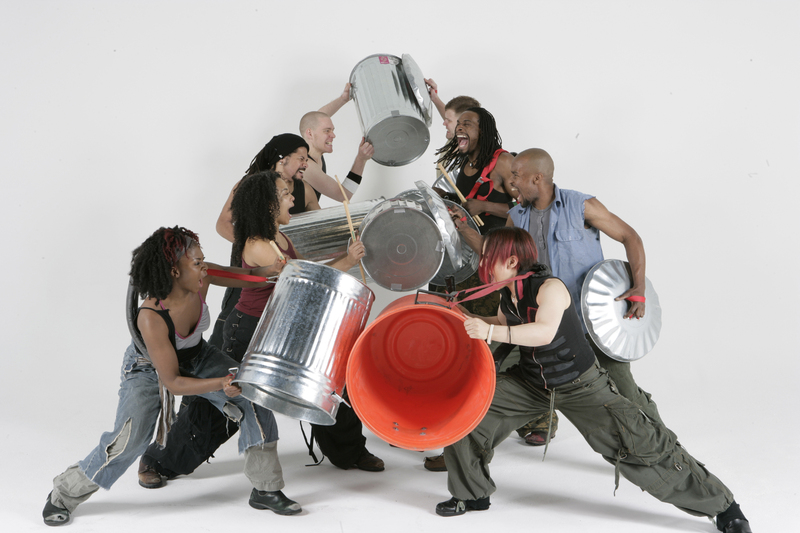 STOMP uses everything but conventional percussion instruments — trash cans, tea chests, plastic bags, plungers, boots, and hubcaps — to fill the stage with compelling and infectious rhythms. From its beginnings as a street performance in the United Kingdom, STOMP has grown into an international sensation over the past thirteen years, having performed in more than 350 cities in 36 countries. I am pole-thumping excited (yes, that's a thing) that STOMP is coming to central Arkansas. And I'm almost as excited that I am giving away two tickets to the one-night-only, already-sold-out performance! Leave a comment telling me the your makeshift percussion instrument of choice, and I'll randomly select a winner by this Friday, March 23. Be sure to enter your email address so I can notify the winner! A half-full tin of coffee -- because you could shake it or drum on it! Then afterward, you could brew some yummy goodness. For me-my KitchenAid mixer bowl and a wooden spoon. For the boyfriend-uhh...my backside. Apparently it makes a nce slapping sound. Wooden and plastic spoons on the counter top or pans or cups aorund the kitchen...Oh the sounds you can create with such simple things! Pots and pans and cookie sheets! A nerf Thor hammer and a trash can. Monday Mash-Up. On an Actual Monday!